Call the Cypress Aggie real estate expert. Broker-Owner Mike Schroeder is a 1989 graduate of Texas A&M University with a bachelor’s of science degree in Agricultural Economics. As any Aggie, Mike is proud of the values that Texas A&M University instilled upon him and he instills those values upon his real estate practice as well as his valuable and productive Team of real estate agents. Mike and his Team of real estate agents treat each and every customer as they wanted to be treated themselves and that is with honesty, courtesy and integrity. As realtors, we are members of the National Association of REALTORS® and subscribes to its strict Code of Ethics. Those ethics include Loyalty to clients, Fiduciary (legal) duty to clients, Cooperation with competitors, Truthfulness in statements and advertising; and non-interference in exclusive relationships that other REALTORS® have with their clients. Mike’s office is conveniently located in Cypress, Tx and has been an integral part of the growth of the Cypress and Northwest Houston areas. Cypress Tx is located within an hour of College Station for an easy commute to all of the sporting events in Aggieland. So, all of you Aggies that are looking to move to Cypress or Northwest Houston, give The Mike Schroeder Team with RE/MAX Preferred Homes a call today. Mike has been a licensed real estate agent since 1999 specializing in the Northwest Houston and the Cypress areas. Mike and his real office RE/MAX Preferred Homes is a proud member the Aggie Owned and Operated. 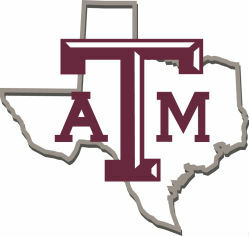 Aggie Owned and Operated is an official program of Texas A&M University and is offered exclusively through MaroonBook.com. It empowers Mike to publicly affiliate his business with the core values of Texas A&M. Not only will the Aggie Owned and Operated designation encourage other Aggies to support Mike’s business, but it will leave no doubt in the minds of all potential customers that Mike embodies the integrity and reliability that distinguish Texas A&M across the state and around the world.